Royal Guards are picked from the best swordsmen in Wesnoth. 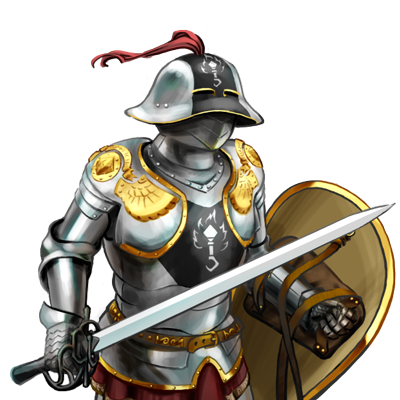 Serving under any of the higher nobility, they function as bodyguards, and partly as a badge of office for their employers. A special force of Royal Guards is stationed at the capitol, guarding the palace grounds and the royal family. Because of their trusted relationship to their superiors, they, rather than mercenaries, are often deployed on missions of crucial import. Their reliability and mastery of close combat are their best assets, for which they are well-renowned.